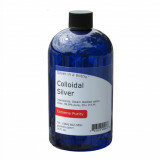 Optimum strength pure colloidal silver in an economical 16 oz. bottle. Ingredients are steam-distill.. Your burn clinic in a bottle! Silver has long been the go-to hospital burn remedy. &..
Nasal Mist, 2 fl. oz. 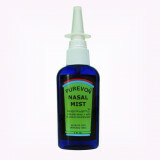 Purevon Nasal Mist is an ideal application of colloidal silver to enable fast relief from sinus cong..
Throat Spray, 1 fl. oz. Throat spray, 1 fl. oz. 30 P.P.M.+ Colloidal silver is a friendly, gentle cleanser that soothes a so.. 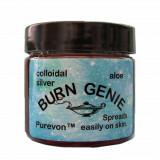 Burn Genie gives you the fast-acting power of silver to start healing your burn quickly. 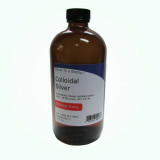 Get yoursel..
Optimum strength pure colloidal silver in a package of 2 economical 16 oz. bottles; 1 quart, total. ..
Optimum strength pure colloidal silver in a package of 4 economical 16 oz. bottles; half gallon, tot.. Introductory Special - Combo Nasal Mist & Silver in a Bottle - FREE U.S. SHIPPING! 1 Each: PUREVON Nasal Mist Purevon Nasal Mist is an ideal app.. Introductory Special - Combo Burn Genie & Silver in a Bottle - FREE U.S. SHIPPING! Burn Genie gives you the fast-acting power of silver to start healing your burn quickly. Get you..